This very loving kitty is just trying to give some love to her human, but there’s those pesky glasses on her face! What’s a cat to do when you’re trying to rub against a human’s face?? 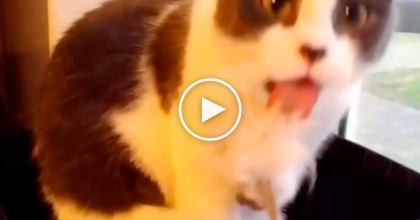 The funny cat always does this anytime she’s near her human’s face and it’s just hilarious!! 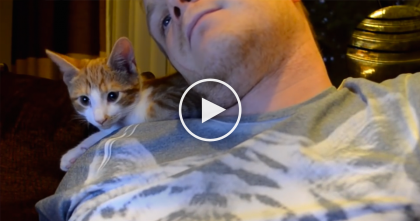 The cat bats off the glasses and then head-bumps and rubs to show the love, it’s adorable. 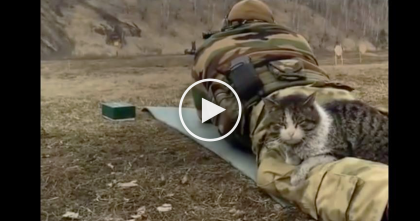 What a funny cat—SHARE this cute video with your friends online :)! 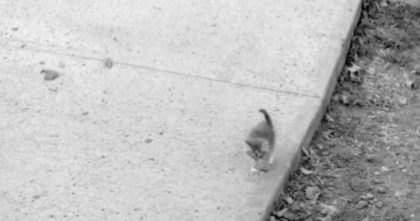 This Cat Was Minding His Own Business, But Then Notices He’s Being Recorded… OMG, Hilarious! 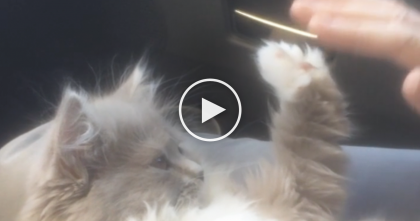 Watch What This Cat Does To Teach Her Owner “Patty Cake”… It’s The Cutest Thing Ever!